Loving mom of Scott M. (Marie) Goyola. 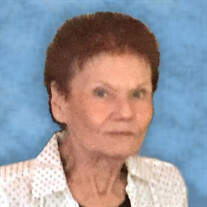 Beloved sister of Donna L. (William) Meyer. Loving Gramma of Janna and Emma. The family of Ms. Joyce "Cookie" Lynn Beary created this Life Tributes page to make it easy to share your memories. Send flowers to the Beary's family.